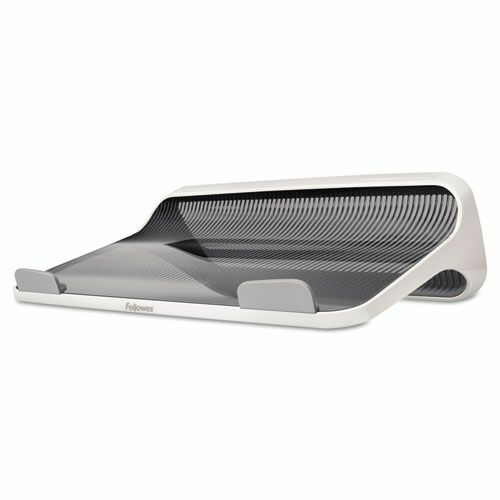 Fellowes Laptop Riser, 13 3/16 x 9 5/16 x 4 1/8, White/Gray. An innovative design that elevates your laptop for enhanced viewing comfort while working at your desk. 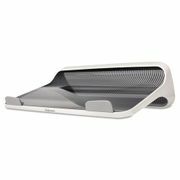 The built-in curved design helps keep your laptop cool, while front bumpers hold laptop securely in place. 25° incline provides a comfortable viewing angle. 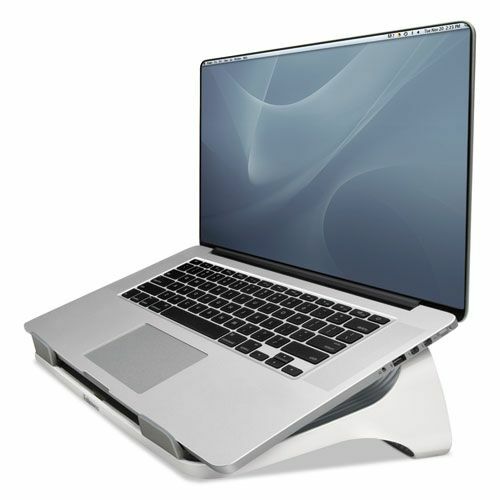 Supports laptops up to 17”. 100% recyclable.